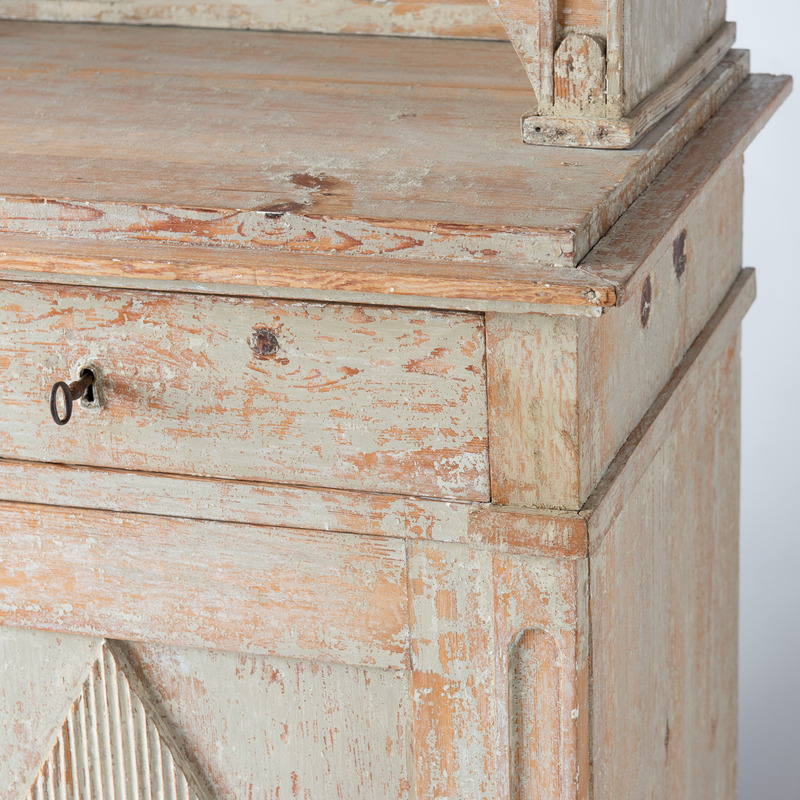 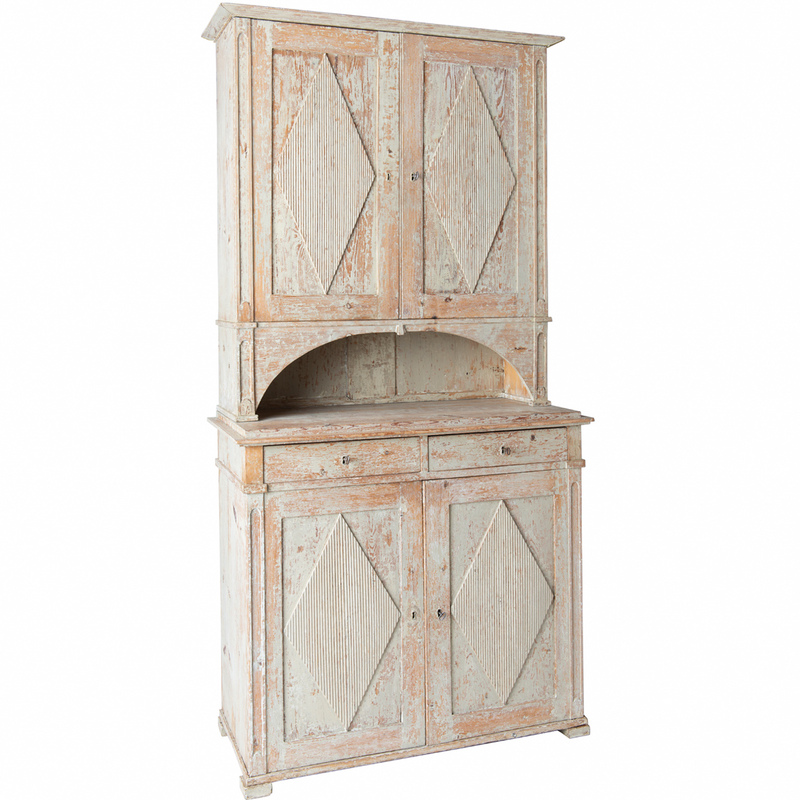 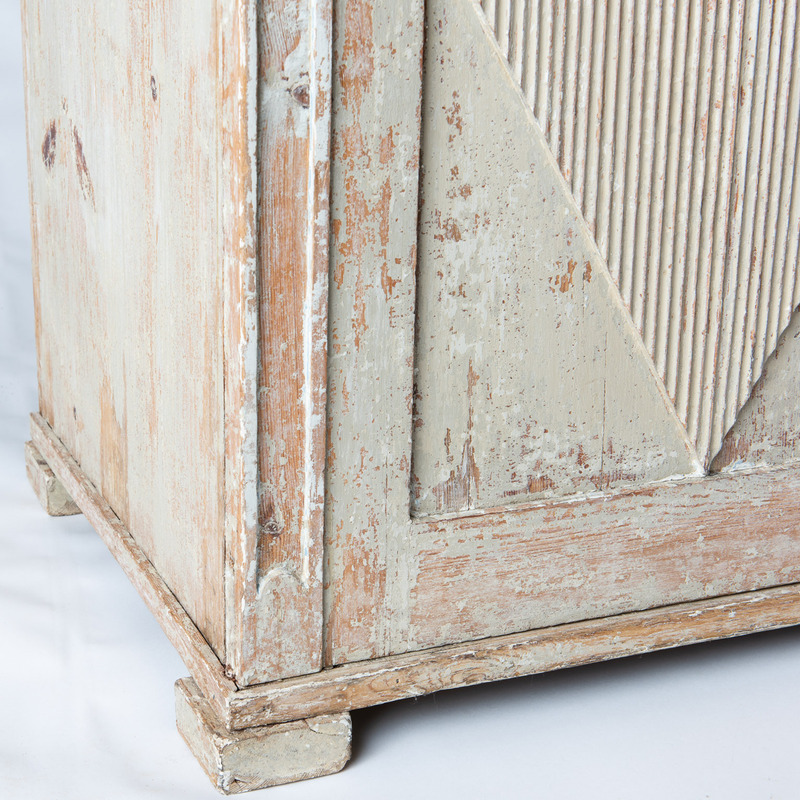 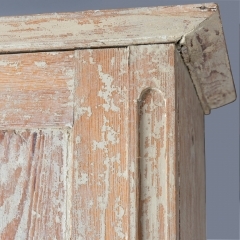 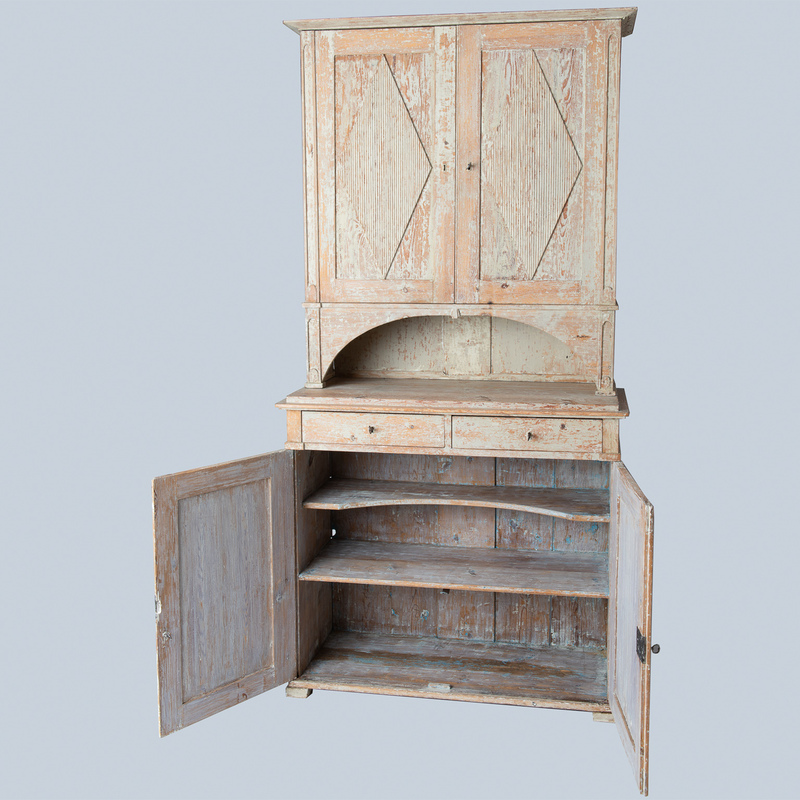 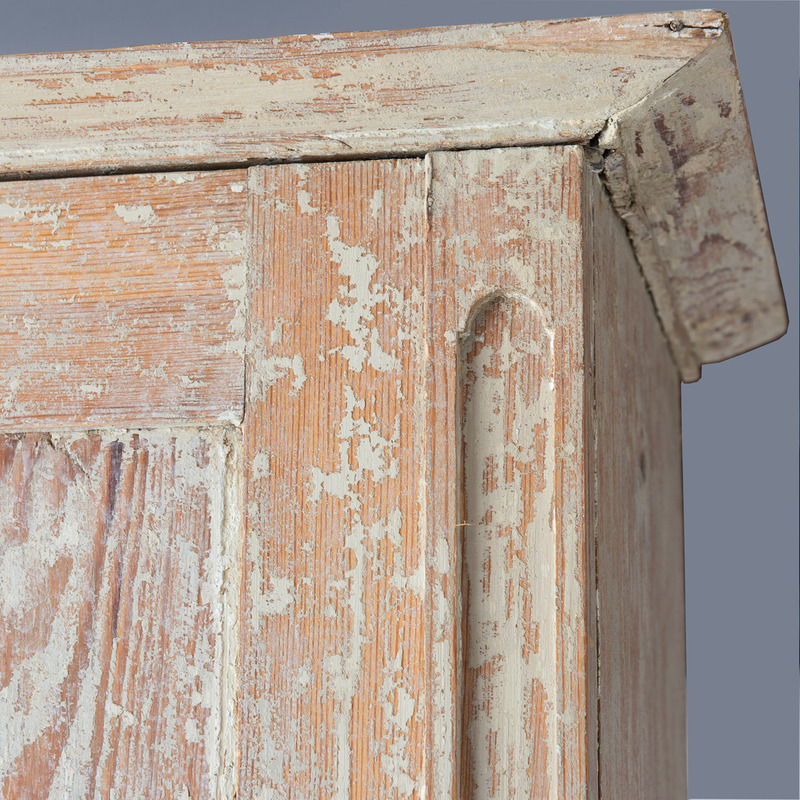 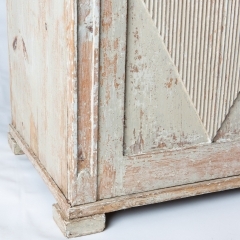 This elegant cupboard has many of the details of the Gustavian style, with a diamond design on the doors, and indented carving at the sides. 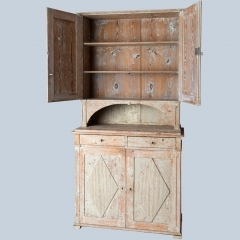 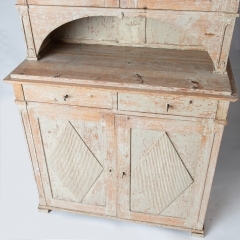 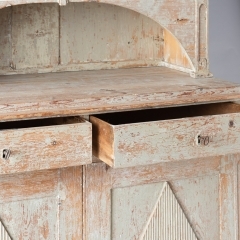 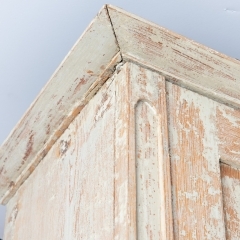 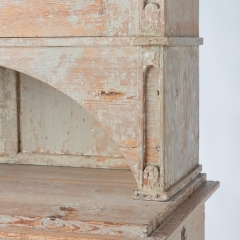 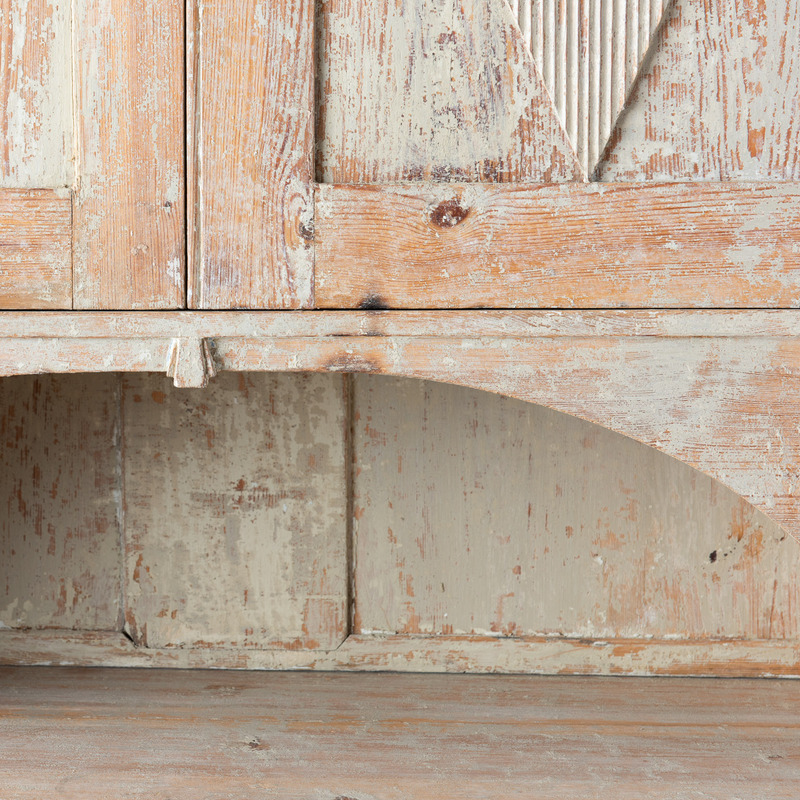 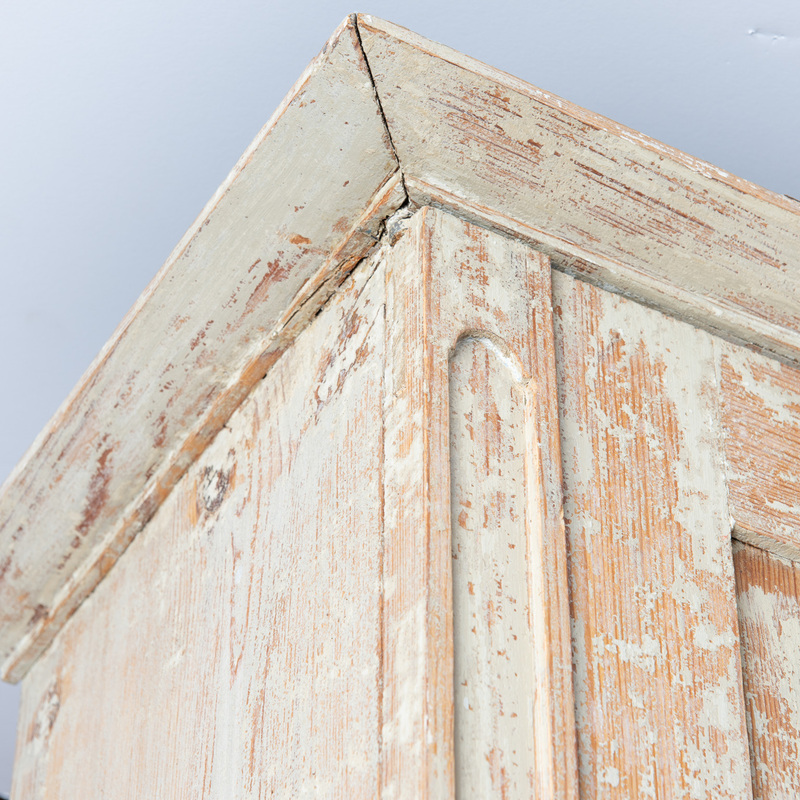 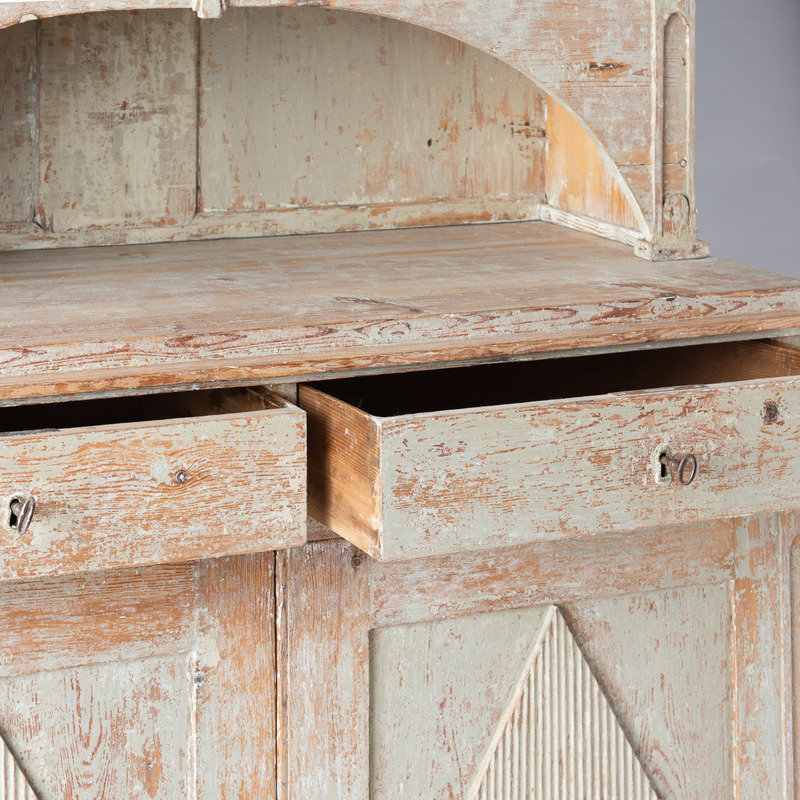 It is a two-part cupboard, with the middle shelf having a half moon opening, which may have been used to allow baked items to cool and is now a perfect area for displaying a decorative piece of china. 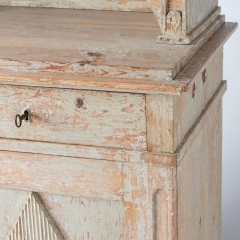 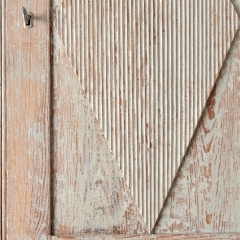 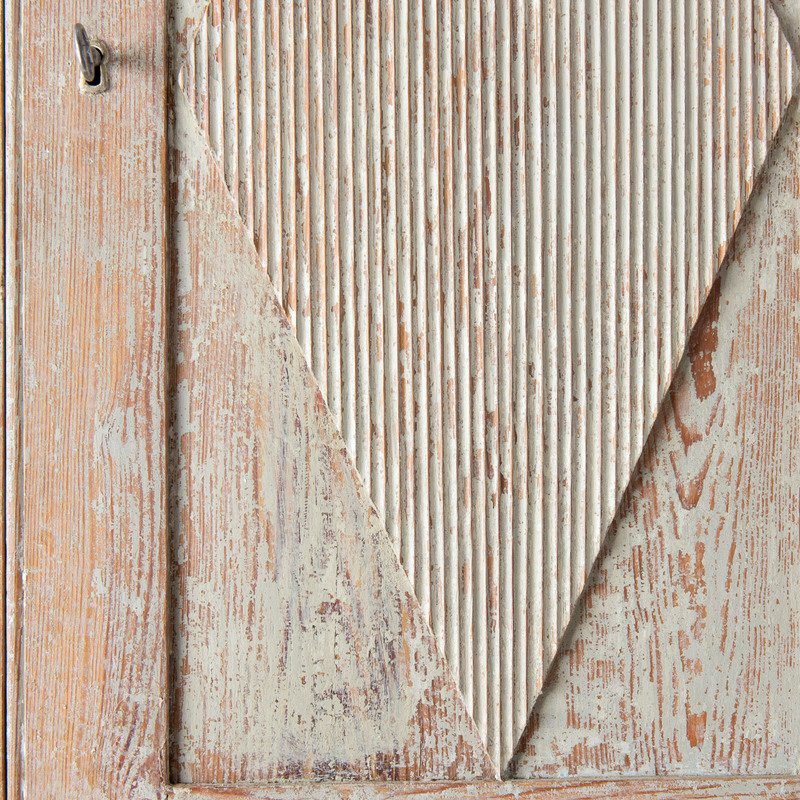 There are four original keys, two for the drawers and one each for top and bottom doors. 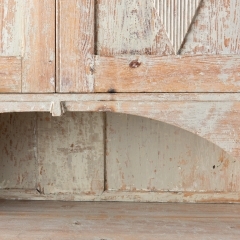 The top and bottom doors open to reveal three shelves each, with the bottom having an unusual curved top shelf allowing the placement of tall items. 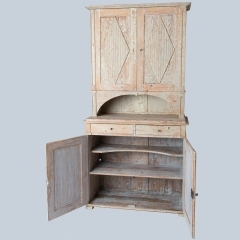 It is an impressive piece that affords great storage.